The white shark is the epitome of the K-selected apical predator. Although it grows relatively quickly, the white shark only becomes reproductively mature at approximately 5 meters (12 to 15 years) for females and 3.8 meters (8-9 years) for males. 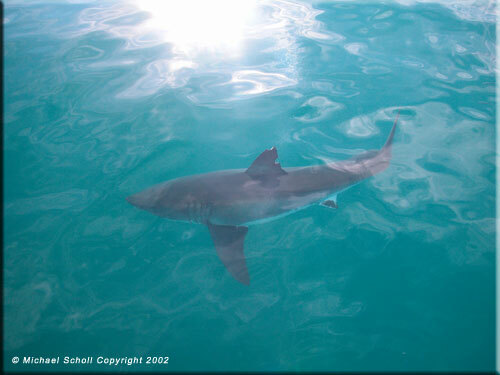 The litter size of the white shark is also comparatively small, ranging between 2 and 12 young. It is suspected that the gestation period of the white shark is greater than a year, thus suggesting a parturition interval of between 2 to 3 years. These factors combined illustrate that the white shark as a species is extremely vulnerable to human exploitation. Not only is it poor at resisting population level harvesting, it is also very slow to recover from a past population reductions. 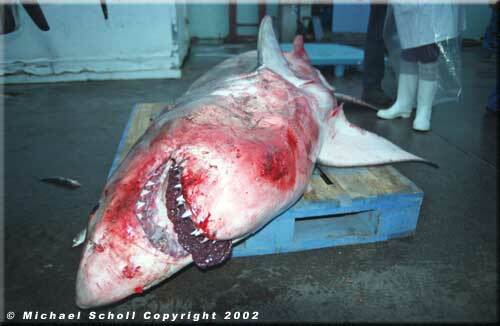 Traditionally the white shark has been a target species due to the trophy status of white shark jaws and teeth. 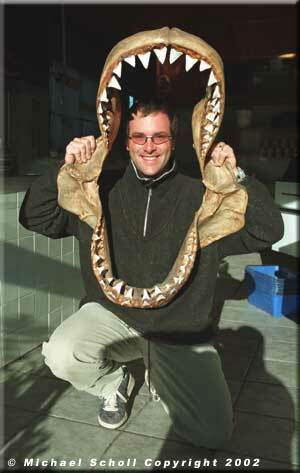 A large set of jaws apparently may be worth up to US$10,000 to collectors. White sharks are also caught as incidental by-catch in commercial fisheries, and in beach meshing programs to protect bathers. Following the JAWS epidemic, white sharks were also targeted by fishes to ensure bather safety, with the overriding attitude been « the only good shark is a dead shark ». Fortunately this attitude seems to be less prevalent today, with the publics increased understanding and appreciation of the environment. 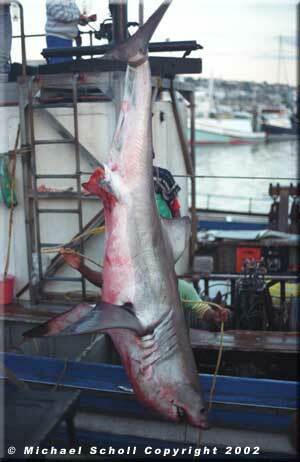 Despite the fact that little was known about the white shark, concerns over the strongly suspected decrease in numbers led South Africa to institute protective legislation in 1991 (the first country to do so). Namibia, Maldives, Malta, Florida and California, US, and Australia followed this unprecedented effort. At present the white shark is classified as « Vulnerable » on the International Union for Conservation of Nature (IUCN) Red List Assessment. This decision is based upon past and foreseen population declines. With the reduction of the worlds fish stocks, increasingly more attention will be focused on targeting shark species, which in the short term represent viable alternative stocks. Unless scientists, educators, conservationists, managers and policy makers work together, communicate and think sustainability, sharks, and the white shark, will simply become more and more rare and then disappear. 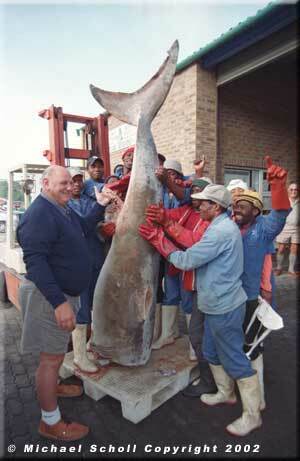 Incidental of White Sharks could represent a significant by-catch in many types of fisheries, and be non-sustainable.